For some strange reason the biannual smog check requirements in California do not apply to pre-1998 diesel powered cars. So, the smoggiest, most oil belching piles on the road don't need to be tested...probably because they'd ruin the exhaust gas analyzers at every smog station. Whatever the reason, it is a boon for power hungry lunatics because those diesel title vehicles can be equipped with all manner of carburetor equipped de-catted high octane fueled power plants. 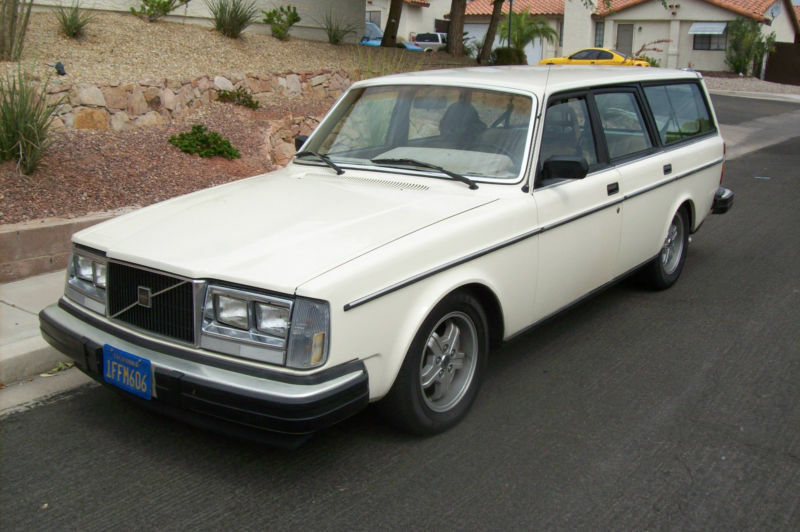 Find this 1982 Volvo 240 diesel wagon equipped with a 355 cubic inch Chevy V8 and auto trans for sale in Laughlin, NV currently bidding on ebay for $4,500 reserve-not-met with 8 days to go. Tip from Scot and Frederic. The V8 powered Volvo wagon is no stranger to the pages of the Daily Turismo and this one looks like a great sleeper example, with only a set of Volvo "Virgo" turbo wheels and a lowering springs to warn others. The automatic transmission should keep the bidding down, but for reference the Yoshifab 940 test car with Gen III LS1, 6spd manual and diesel title has been popping up on ebay for the past 6 months from the dealer in Ohio who purchased the car for about $10k and each time reserve is not met. This Gen I small block/slushbox equipped 240 version should go for much less. 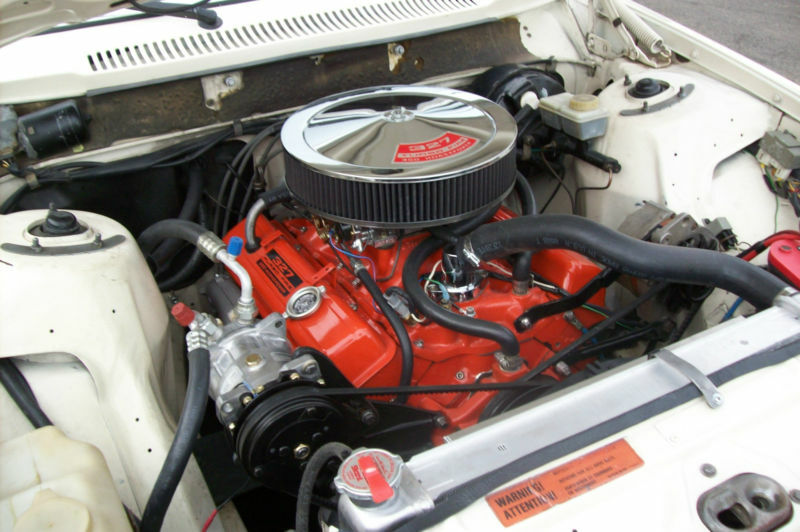 Few details are given about the small block Chevy engine, but it is safe to assume something around 350 horsepower from the setup. Even mated to the slushbox auto trans this thing should be a great family hauler and grocery getter; just be sure to keep a low profile as cops will give drivers of beige Volvos tickets for stupid stuff just as quickly as F-bodies. ~ i've learned that there are a couple other good reasons for beginning a build such as this with a Volvo that started life as a diesel. 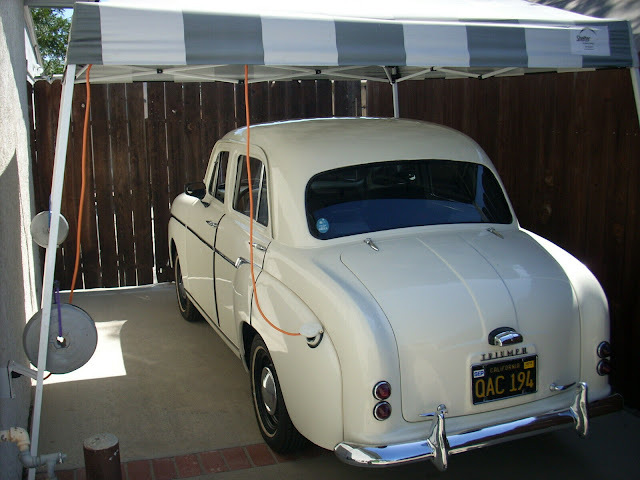 one reason i am still looking for more information on is greater cooling capacity if using stock system and another is the larger brakes used on the oil-burners.
. the Yoshifab '92 740 Wagon LS1 T56 6 speed sold in May for $15,200 +/- and was then traded to the most recent seller on a hotrod. listed again on 7-18, it is shown 'This listing was ended by the seller because the item is no longer available'. "cops will give drivers of beige Volvos tickets for stupid stuff just as quickly as F-bodies"
Not at all true. I've passed F-bodies and Mustangs in a 740 Turbo just before a state trouper pops out of the median and gives the F-body or Mustang driver a ticket. Same thing happened with a Ferrari Maranello last weekend on the Taconic except I was in my Imprezia. The only time I ever got stopped in the 740 Turbo was once in Utah when I passed a patrol car at about 95 mph and got a 15 minute chat and a warning. Slick timewarp engine swap, but into the ugliest front end Volvo every produced. Ack! The bumper/ grill/ headlight assembly on this looks to have been manufactured behind the iron curtain, when there still was one, on the same line as the Lada and stainless steel toasters. Go the the wrecking yard and buy any other front clip and keep on swapping, I say. Hey! The DTPC resembles that remark! "For some strange reason the biannual smog check requirements in California do not apply to pre-1998 diesel powered cars." No, not strange. The state didn't have the standards in place and the technology didn't exist for the smog controls or the testing systems. Even California, in an all-too-brief brief moment of intelligence, realized you can't test what was never created. Fortunately, the state has never really put the screws people who do this sort of swap.